The latest addition to the Nokia Lumia family was announced and revealed 2 days ago at Mobile World Congress in Barcelona. 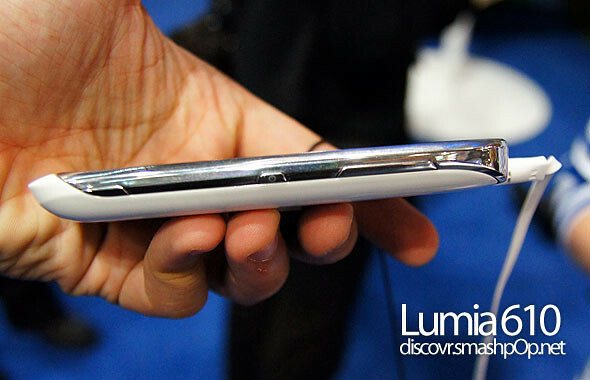 We got the chance to play around with the Lumia 610 and here are some hands-on review, photos and video! As mentioned in out previous post, the Lumia 610 is the most affordable Windows Phone in the market to date, it is targeted at youngsters who want a smartphone with an affordable price. 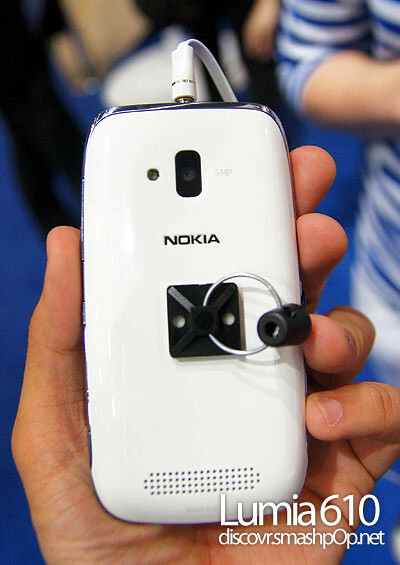 According to Nokia, the key selling point of this device is the design. With snap-on back covers and metallic sides, it looks funky yet premium at the same time. Since it is set at a lower price point than the previously announced Lumia 710, the specs have been ‘toned’ down a little; for instance, it has a 3.7” WVGA (800×480) LCD instead of the Clear Black Display on the other Lumia devices. The Lumia 610 also has an 800 Mhz Single Core/Qualcomm Snapdragon S1. Another obvious one would be the 256MB RAM memory and the 8GB of internal storage. Eventhough it has less RAM, most apps and games would run smoothly on it without any hiccups, so users should not worry too much on the performance. It comes with a 5mpx camera with LED flash and in 4 colours; Black, Cyan, Magenta and White. From our tests, the phone felt very solid and does not produce squeaky sounds on the back cover like any other low end phones in the market. 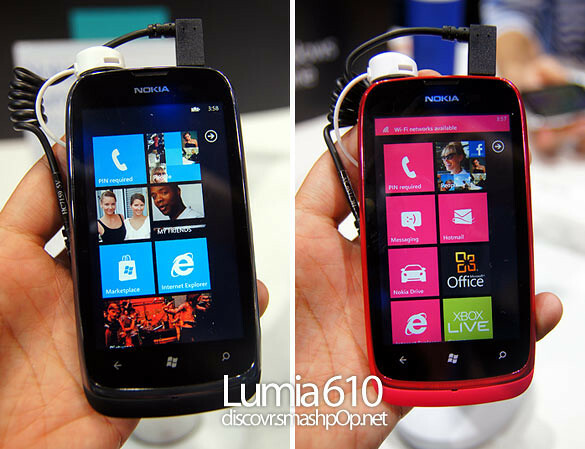 The 3.7″ screen is vibrant and sharp, capacitive touch buttons works just like the Lumia 800, which is a good thing. One thing to note though, the 610 only records video at VGA resolution and does not playback HD videos. That’s probably the only downside on this device, but for the price its asking, we think it’s very worthit and recommended if you are looking for your first smartphone or to use this as a secondary phone. 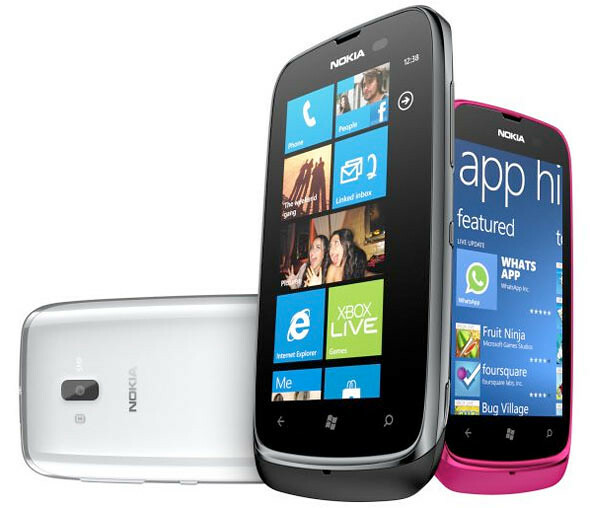 The Lumia 610 costs only about 189Euros (thats like RM750) and will be released in the South East Asia market first, followed by the rest of the world. This will happen in the 2nd quarter of this year. 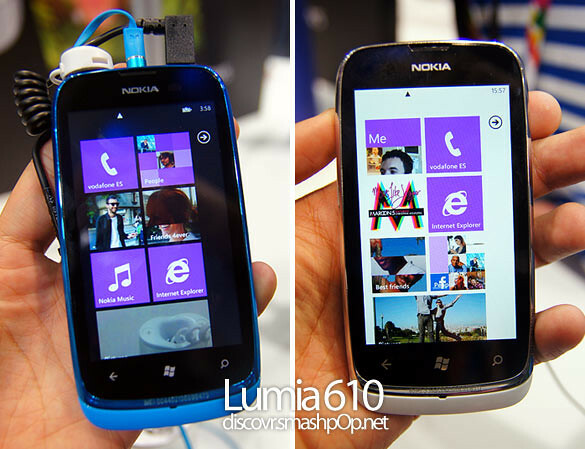 3 Responses to "Nokia Lumia 610 Hands-On Review [Photos & Video]"